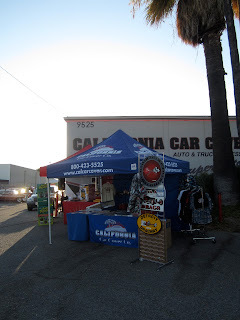 Our last Summer Cruise Night of the year was last night at California Car Cover. It was the third one of the summer and we had a great time hosting plenty of classic car enthusiasts for the past few months. Here are some photo highlights from the show. 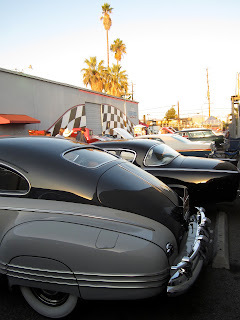 The show attracted quite a few muscle cars and classics from all over the San Fernando Valley. We had a sale booth, plus a raffle tent full of prizes donated by our event sponsors. Rock N Roll Pizza from Woodland Hills, Ca was also on hand serving New York style pizza slices. 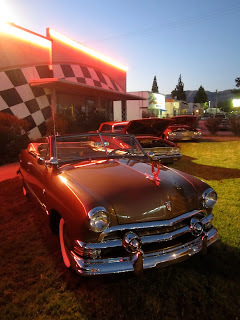 The the front lawn was a Chevy Bel Air, plus a few different generations of Ford automobiles. Our friends over at Creations n' Chrome in Valencia brought out one of their custom Ford Mustangs. The show attracted a variety of classics cars in all makes and models. 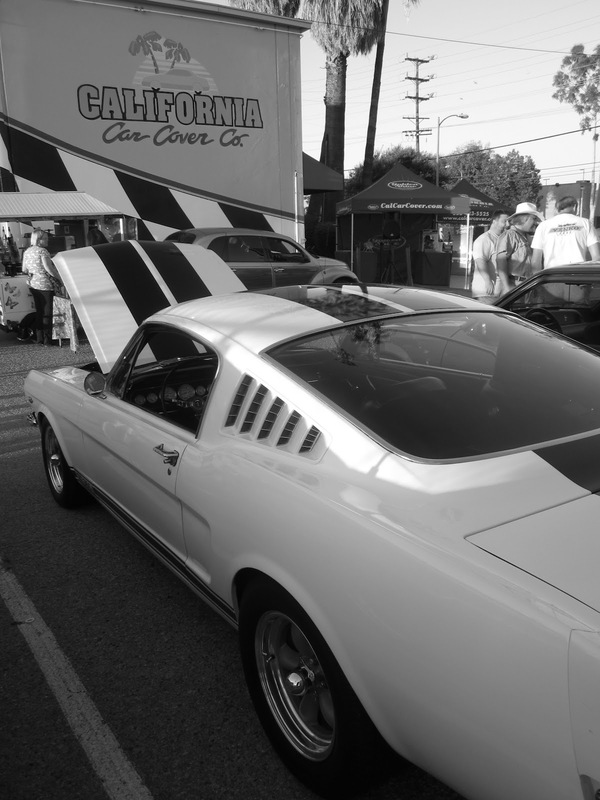 There were new Mustangs, classic Mopars and hot rods all on display at California Car Cover last night. Once the sun went down the temperature cooled off and more people kept stopping by to take a look at what was going on at CCC last night. We had raffle prizes donated from our friends at Deltran Battery Tender, Detail Pro, Mr. Horsepower, Shop-Vac, ACME Diecast, Park Smart and Laid Back Apparel. Everyone that drove a car into the Cruise Night was entered for a chance to win. 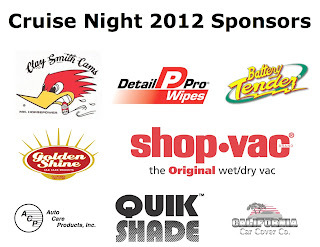 We could not have such a great time at each Cruise Night without our sponsors. 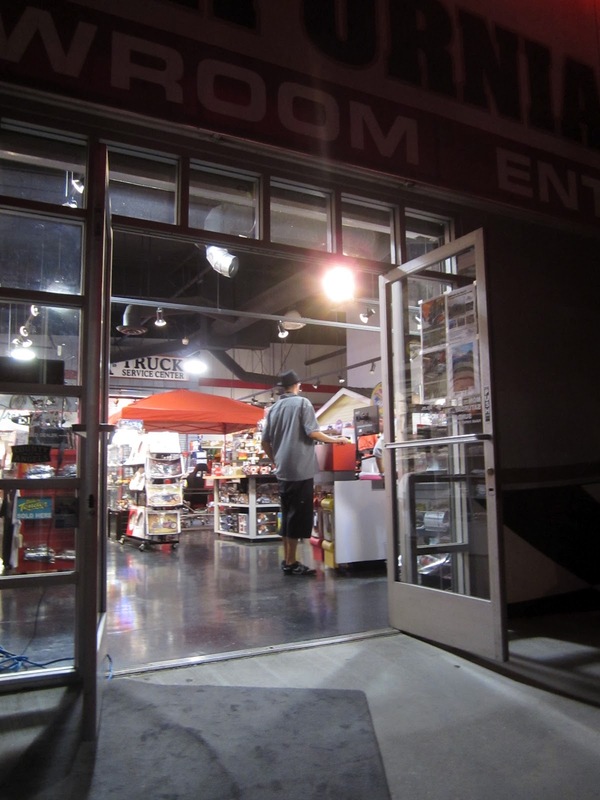 After 8pm, we gave out the last of our raffle prizes and cars started to leave the show. 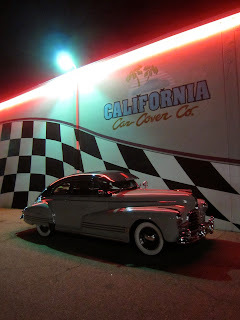 We had a great time hosting the Summer Cruise Nights this year, and hopefully we can host a few in 2013. 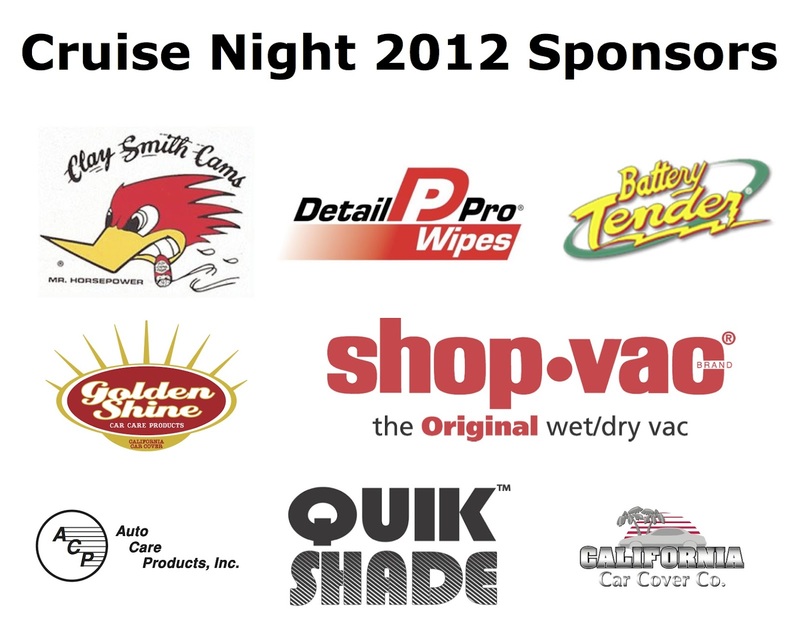 A big thanks goes out to everyone that attended one (or all) of the cruise nights this year, our staff and the sponsors who made it possible. We have two more car shows coming up in October. 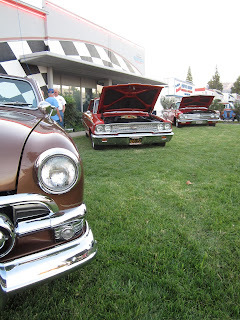 Hope you can make it out to either our Tri-Five Chevy show or the Nova & Chevelle events. Follow along with us on Facebook to stay tuned.